We are factory of galvanized angle bracket in China. 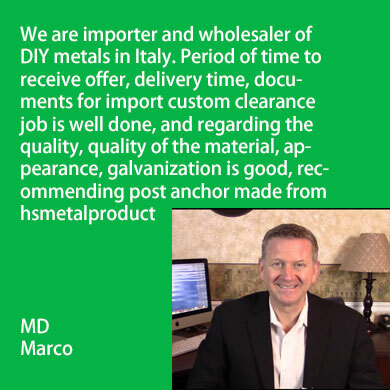 We have exported wood connectors to European, USA, Oceania market. Angle bracket belongs to timber connector. 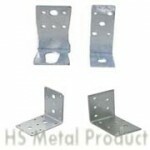 It’s been produced by sheet metal stamping process. Steel angle bracket is ideal for connecting timber frames, decking, pergola, purlin, and also for fixing timbers to steel or masonry. It’s rigid and punched with plenty of well positioned holes to fasten. 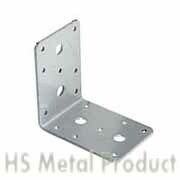 Heavy duty angle bracket can be secured with nails, screws or bolts. 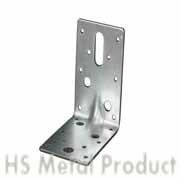 Hua Sheng produce galvanized angle bracket which are widely used in timber building sector: angle bracket for wood, angle bracket for fence, angle bracket for shelf are available. We are angle bracket manufacturer, who can produce a variety of galvanized angle bracket. 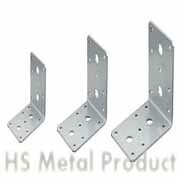 Please specify degree: e.g 90 degree angle bracket, width, length, thickness when ordering.